A preview of Jason Wu's Spring 2010 collection was held at Neiman Marcus in Beverly Hill earlier this week. My girlcrush Diane Kruger is perfection once again! Diane Kruger, Katie Cassidy and Amber Heard - everyone looks lovely but it's all about Diane's dress. Diane Kruger, Jessica Stroup, and Lily Collins. The GQ Gentleman's Ball was held last night and it was all about the ladies. Here's an overview of some of the best dressed. Eugenia Gonzalez in a great dress. Olivia Palermo is casual but with a Croc Hermes in her hand she can do no wrong. Ashton and Demi - she is absolutely flawless! And the dress is fantastic. Diane Kruger attended the 2009 International Womens Media Foundation's 'Courage In Journalism' Awards in Beverly Hills yesterday. LOVE the dress, LOVE the clutch but I don't like the shoes. It's very rare since I usually love everything Diane wears. Camilla Belle attended the Rodeo Drive Walk Of Style in LA wearing a white dress with lace and feather detailing. I love this dress! She looks stunning. 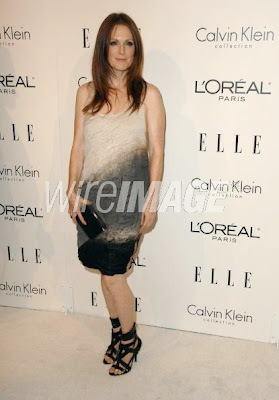 Sheila Marquez at Carrousel du Louvre during the last Paris Fashion Week. Sorry for being M.I.A. this week. It was LG Fashion Week in Toronto which meant it was a hectic week. The shows were pure craziness (like usual) with insane lineups and chaos reigning at all of the events. Despite the fact that it happens every year, the FDC seems incapable of creating a system that doesn't leave attendees feeling like their walking into a maximum security prison or having to duke it out to get registered. But enough about my complaints (it is organized by 'fashionistas' after all), I attended a few shows but my favourites were on Thursday night. I went with Samantha and the first show we saw was Evan Biddell. I wasn't overly impressed with the collection but I thought the jewellery and accessories, which were made out of LG phones were pretty cool. 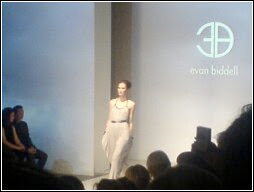 The first two photos below were from Evan's show. My favourite show of the week, was Romona Keveza. Her evening wear and wedding dresses were stunning. 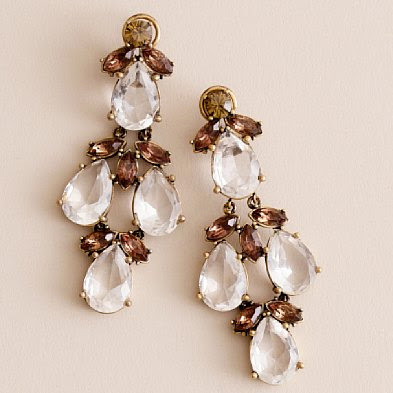 The feathers and floral detailing were perfection. And it felt completely deserved when Romona received a standing ovation at the end of the collection. The show was divine. Check out the last two photos below from Romona's show. The first was taken from Samantha's cell phone. It's not a great photo but the dress was amazing. Diane Kruger attended the Santa Barbara International Film Festival's Kirk Douglas Award gala earlier this week. Her style is always flawless but those shoes take it to another level - they are heavenly! Sienna Miller wore a stunning Balmain dress to the after party for her Broadway debut in 'After Miss Julie.' She looks AMAZING! Her performance hasn't gotten rave reviews but this outfit definitely deserves a standing ovation. Kate Foley at Dries Van Noten during Paris Fashion Week. 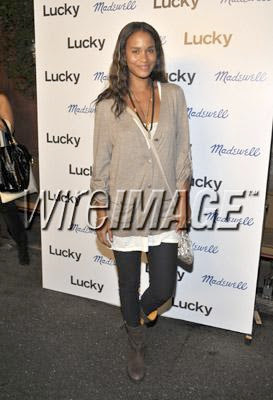 Madewell and Lucky Magazine held a Denim Event held at Chateau Marmont in Hollywood earlier this week. Here's an overview of some of the fashionable attendees. Kristen Bell and Rachel Bilson both look adorable. Love their looks! Lauren Conrad went with a pretty minimal look for the event. She looks good but it's not my favourite look. Jordana Brewster looks casual but very cool. Katie Cassidy wore a super cute dress. I don't love the white clutch, gray shoes and black/red detailing on the dress together. Joy Bryant is stunning. She went super casual to the event but she always looks fantastic. Tinsley Mortimer @ Karl Lagerfeld Fashion show during the last Paris Fashion Week. I love this look (although it's painful to see how her bangs are growing out). Mary-Kate and Ashley Olsen attended the 2009 Council of Fashion Designers of America's new members reception at the Four Seasons in NY today. 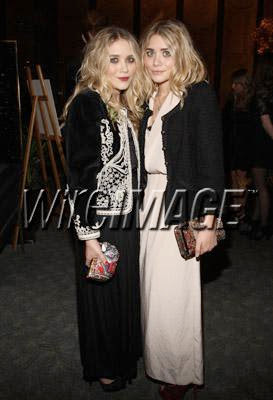 I think they both look great but I especially love Ashley's pale pink dress, black jacket and colourful clutch. Diane Kruger - flawless as usual! Zoe Saldana in the prettiest cream dress. Love this look! Robin Wright looks better now than she ever did when she was married to Sean Penn! Katie Cassidy from Melrose Place. I'm mildly obsessed with the show. I actually preferred her when she was a brunette in Harpers Island but she still looks great as a blonde. Emily Blunt - I love the dress but hate the shoe/dress combination. It just doesn't work for me. Julianne Moore. Love the shoes and dress. I'm not really sure why Willa Holland was there. Her look is okay but the belt stands out and not in a good way. Renee Zellweger working it HARD. The only way I can describe the dress is fine. It's her usual. What do you think? Do you like or dislike most of these looks? Melanie Huynh attended Christian Dior during Paris Fashion Week. Flawless! Miranda Kerr and Megan Gale attended The BMW Caulfield Cup in Melbourne wearing some fabulous hats. I need an occasion to wear a giant flower on my head - love Miranda's race look! Ginnifer Goodwin wore a Stella McCartney top/pants and an amazing Chloe jacket to The Kind Diet book party launch in LA. So cool! Holy smokes - did Halle Barry look smoking hot at the Keep A Child Alive 6th Annual Black Ball or what. Her dress was unbelievable and her arm candy wasn't too bad either. Talk about a stunning couple! J. Crew is having a 20% off sale on all online orders of $150+. The sale ends tomorrow (October 14th) at 11:59 EST. J. 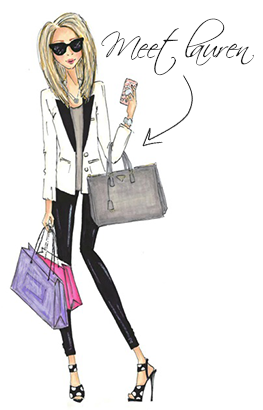 Crew is a great place to get basics - I usually stock up on cardigans, fun jewellery and flirty tops to wear under suit jackets. 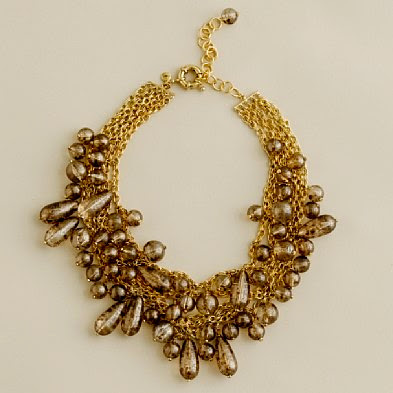 Just enter the code SHOPFALL at checkout to get the discount. I've included links to some of my favourite pieces. Enjoy! 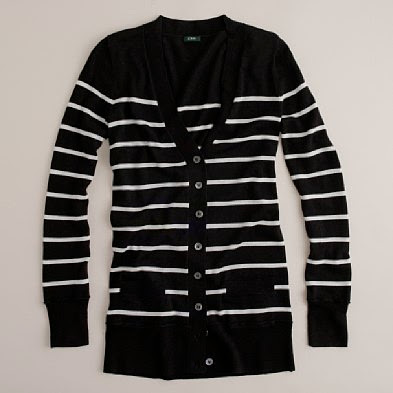 Forever V-Neck Cardigan (Lo from the Hills was spotted wearing this a while ago). It also comes in a number of solid colours. Ginny is looking like a fashionista! Bonnie Wright attended a Vogue Bvlgari party supporting Save the Children today in London. Her dress looks great on her and her shoes are KILLER! I think Bonnie's going to give Emma Watson a run for her money on the red carpet in the future. Where The Wild Things Are premiered in NY today. I can't wait to see this movie! It looks amazing. I have no idea why but Blake Lively attended the premiere wearing a Marchesa dress from the Spring 2010 collection. Love the bottom of the dress but the top is a mess. Do you agree/disagree? Kristin Bell wore a Marchesa embroidered strapless draped chiffon cocktail dress and Christian Louboutin heels to the Couples Retreat premiere. I'm completely on the fence about this one. I love the dress but the long piece of chiffon hanging from the side of the dress feels completely misplaced and reminiscent of an 80's prom dress. What do you think? Do you hate the chiffon-thing as much as I do?